Her artistic talents led her to work with some of the most prestigious magazines, brands and TV channels internationally for Editorial, Advertorial and Media work. In 2011, She was bestowed the MAC Award of Contemporary Make-up via LCF. Her Clients include Creative Head Magazine, FaceOn Magazine, Hello UK, The English National Ballet, MAC, MBC Group, Goldwell and many more. Melodie is originally from France but has started her career in the UK more than 8 years ago. After completing a foundation course in art she studied make-up and specialized in Fashion in London. Melodie has spent a number of years working as a specialist for Chanel , Dior and Urban retreat while actively collaborating on projects with models and photographers as well as winning Avant-garde competitions. In 2017 she was awarded with the Honorary award for the Rijsk Museum competitions in Amsterdam and worked as the make-up designer for the critically acclaimed show Blak Whyte Gray at the Barbican Theatre in London. Her latest clients include celebrities like Beverly Knight ,Sir Ian McKellen , Sir Patrick Stewart and Nathalie Dormer. Currently, Melodie works as the Head of Make-up team at London College of Make-up where she shares her valuable creative experience of many years with our students. Jade originates from the U.K. where she attained her VTCT Level 3 Diploma specialising in Fashion, Hair, Theatrical and Media Make-Up. 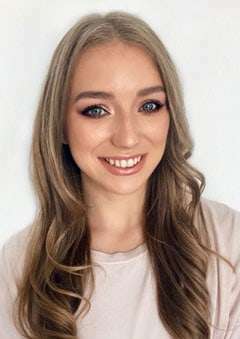 Over the last 9 years Jades devotion and enthusiasm towards Make-Up has afforded her multiple prestigious opportunities to work in conjunction with The BBC and London Fashion week. In addition, Jade has also worked internationally, in cities such as Milan and Munich, where she has delivered workshops on ‘The Art of Application. Jades wealth of knowledge and experience has also provided her the platform to manage two world-leading make-up brands: MAC and NARS. Jade formerly taught at Leeds City College in the U.K. where she developed and mentored aspiring make-up artists aiming to acquire their VTCT Level 3 Diploma in Hair and Media Make-Up. At present, Jade lectures at the London College of Make-Up where she imparts her creative flare, practical knowledge and passion with our students. Jessica was born and raised in Sydney, Australia. She has worked in the hair and makeup industry all her life, completing studies in both fields over 10 years ago. She left her position as a Senior Stylist to open her own hair and makeup salon where she built a successful business and a strong clientele from the ground up. On weekends, she pursued her passion and expertise in bridal and throughout her career, has helped hundreds of brides look and feel as they had always dreamed on their big day. Today, Jessica works on a variety of bespoke projects as a freelancer including TV commercials and photo-shoots, whilst sharing her knowledge and love for the industry with students as an educator at London College of Make-up. 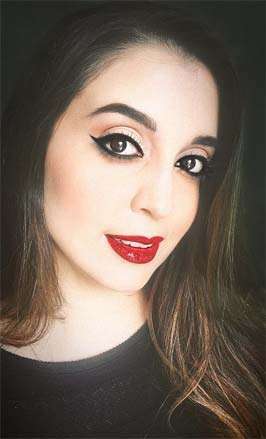 We have a large team of top international make-up artists who travel to the UAE from various countries, to hand-over advice and knowledge from their vast experience in fashion and celebrity make-up. These artists will bring their own portfolio and kit for the students to see how a professional make-up artist works. Our students will have the chance to attend seminars organized by cosmetic and skincare professionals from various brands, such as Dermalogica and many more. 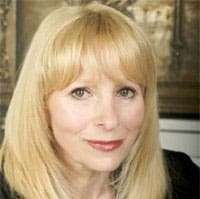 With over forty years association within the fashion and beauty industry Beryl Barnard has become one of the matriarchs of make-up in the United Kingdom. Starting out firstly as a beauty therapist and then a make-up artist before moving on to becoming the founder and owner of the Beauty and Make-up school. Beryl Barnard has now brought her expertise to overseeing the quality and control within the IMA and is a member of its examination board.